A sprinkling trust gives the trustee discretion to distribute trust funds according to the needs of the beneficiaries. A sprinkling trust (or spray trust) gives a trustee power to decide how trust funds will be distributed to beneficiaries. Most trusts clearly state how and when beneficiaries receive money or property from a trust. The trustee must adhere to the terms of the trust and distribute trust property accordingly. In contrast, a sprinkling trust gives the trustee guidance about how to make distributions, but the ultimate decisions will be made by the trustee. When is a Sprinkling Trust Useful? the grantor wants trust payments to be made based on the needs of the beneficiaries, rather than as a set amount. Sprinkling trusts may be especially useful when beneficiaries have changing or varied needs because the trustee can adjust payments based on the beneficiaries’ ages, health, education, and financial needs. One common example of a sprinkling trust is a family pot trust. This is a trust usually made by parents or grandparents to leave money or property to a group of children or grandchildren. Although all of the kids are beneficiaries of the trust, the trustee is not obligated to make distributions to the children equally. Instead, the trustee can make payments according to the children’s needs. There can also be tax advantages to a sprinkling trust: Beneficiaries pay income taxes on the trust funds they receive. If the beneficiaries are in widely different tax brackets, the trustee may be able to keep more trust money in the family by distributing more to the beneficiaries in the lower tax brackets. Beneficiary – The person who receives a benefit from the trust. Trustee – The person who controls trust property according to the terms of the trust. How Does a Sprinkling Trust Work? Gives guidance to the trustee about how to make distributions of trust funds. States how and when the trust will end. There can be more than one grantor, trustee, and beneficiary. The trust goes into effect when the grantor signs the trust and has it notarized. After the trust is created, the grantor funds the trust by transferring money or other property into it. At that point the trustee (who may also be the grantor) follows the terms of the trust to make distributions. Rob and Samantha have three teenagers. One wants to be a chemist, one wants to be a musician, and their youngest child is an amazing athlete, but also has learning disabilities. The future is wide open for all three kids, and their parents aren’t sure who will need financial support as they enter adulthood. Will it be the chemist who will probably be in grad school for a decade, the aspiring musician whose band may or may not make it, or the athlete with special needs who could wind up playing professional baseball? Instead of dividing the trust evenly between the kids, Rob and Samantha make a family pot trust. They name themselves as the initial trustees. And they name Rob’s brother and his wife (who agreed), to serve as successor trustees; they will control the trust if anything happens to Rob and Samantha. In the trust, they instruct the trustees to use the trust funds to help any or all of the kids who end up with financial need. The trustees will have the discretion to pay for college tuition, special tutoring, hospital bills, or anything else that the trustee deems necessary. The trust will end when the youngest child turns 30 years old, and at that point the trust will be divided evenly. You may be able make a simple sprinkling trust – like the one described above – yourself, without the help of a lawyer. For example, if you make a will with Quicken WillMaker Plus or with Nolo’s Online Will you can include a pot trust with your will. However, if you want to leave detailed instructions for the trustee about how trust funds should be used, see a lawyer for help. To find an estate planning lawyer in your area, try searching Nolo’s Lawyer Directory. 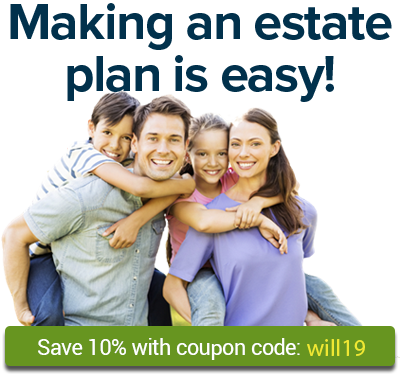 Learn more about wills, trusts, avoiding probate, and much more in the Estate Planning section of Nolo.com.